"These islands are a weird place. 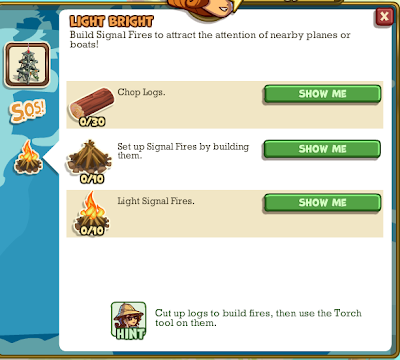 Do what you can to signal to the mainland" "If all else fails, large Signal Fires will be seen at night from a distance"
This expedition is a very large map, so I am numbering the islands. 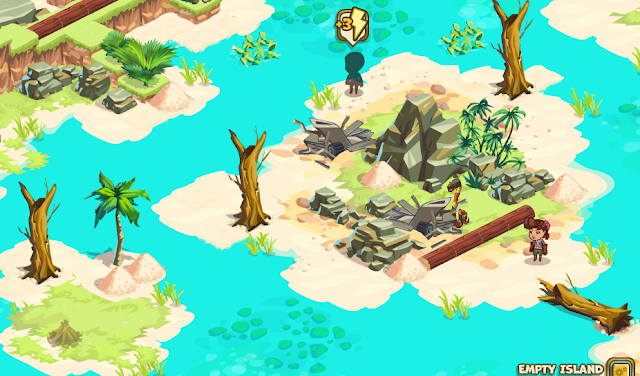 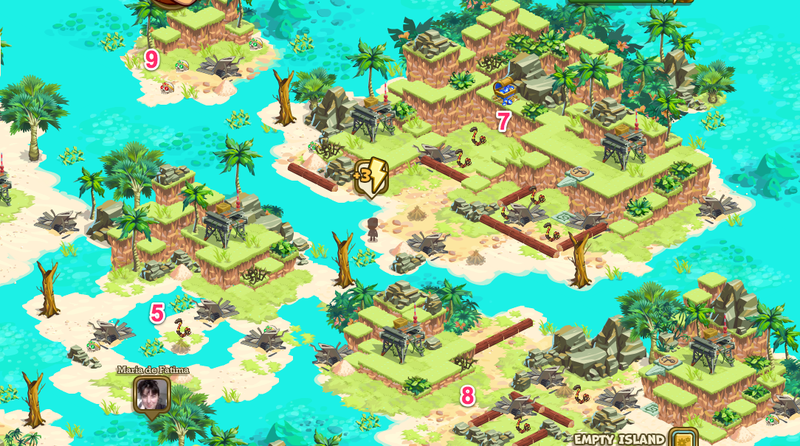 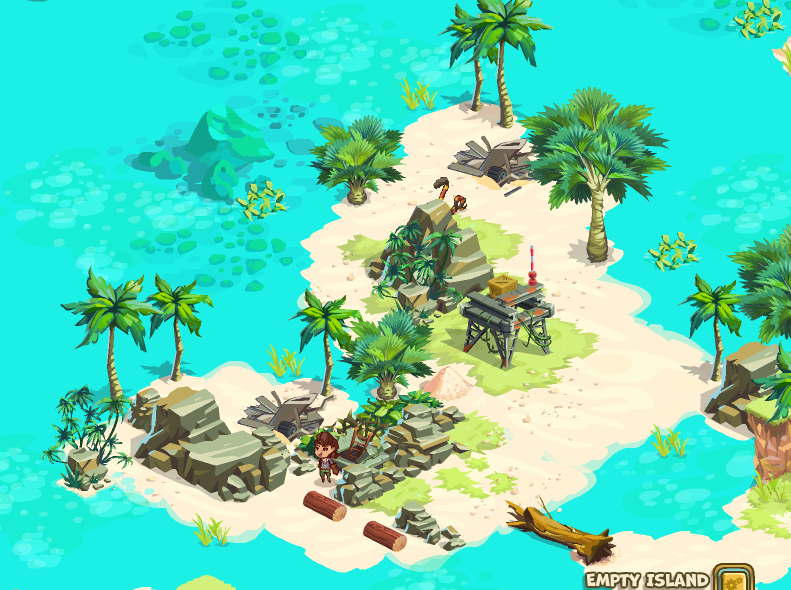 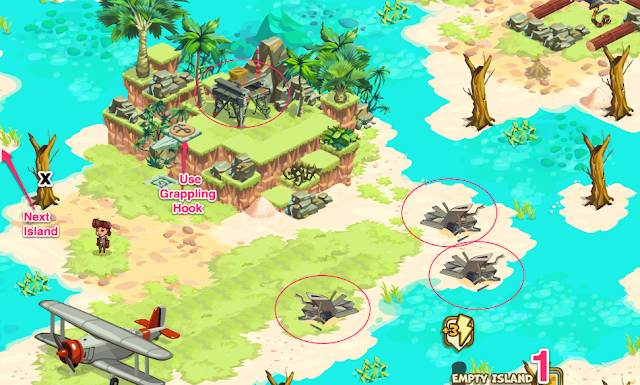 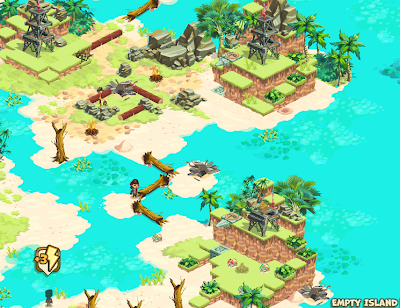 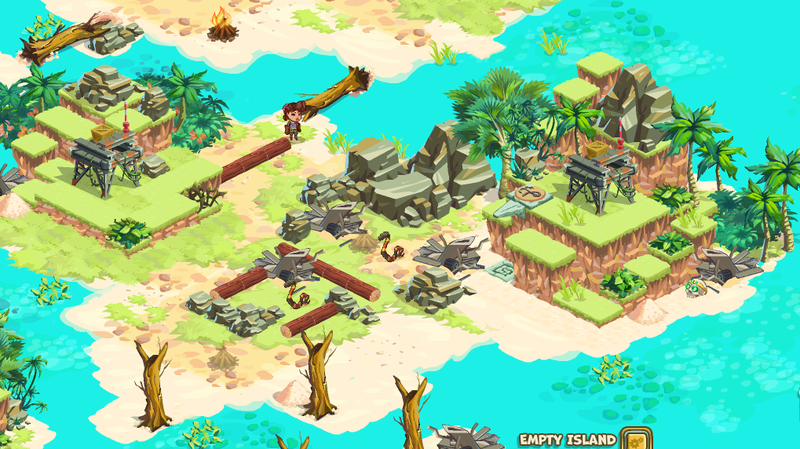 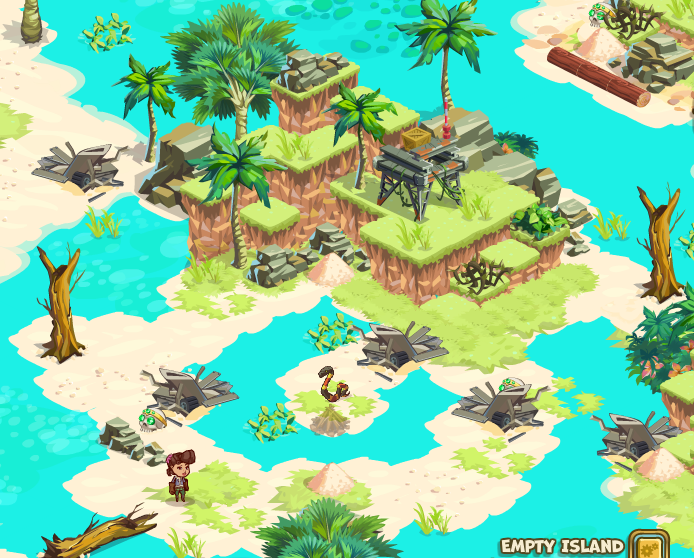 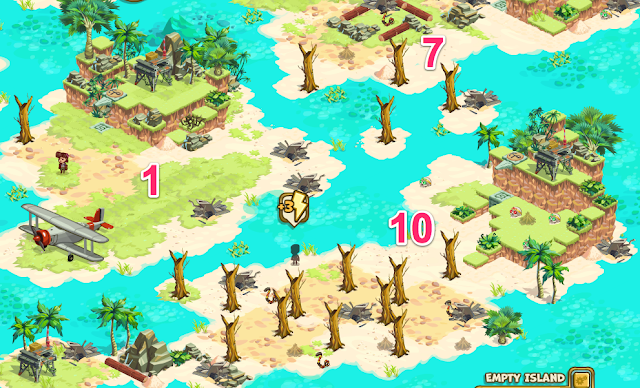 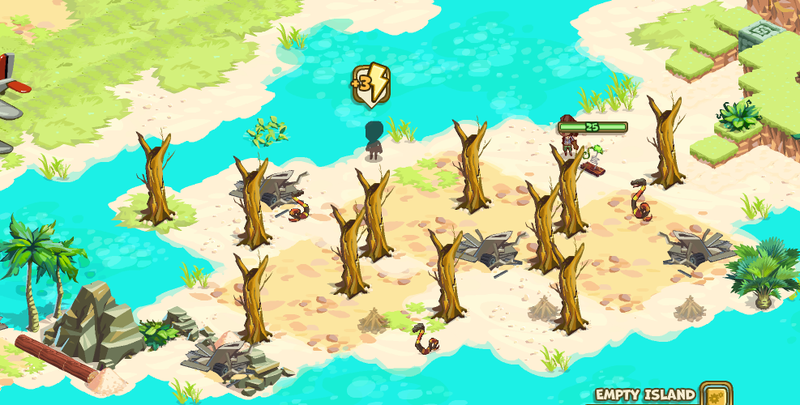 Islands #4 and #6 are dead-end, and you need to return to the previous island to go forward. First of all, received the right frequency from friends. 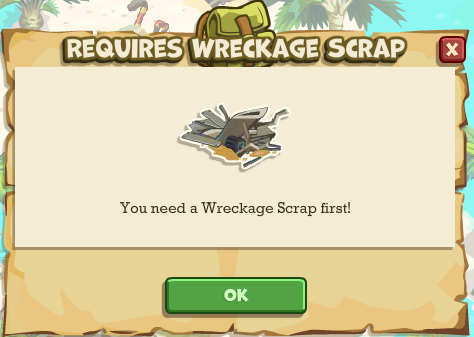 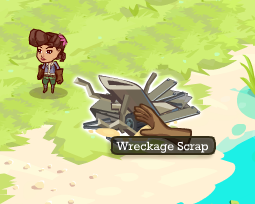 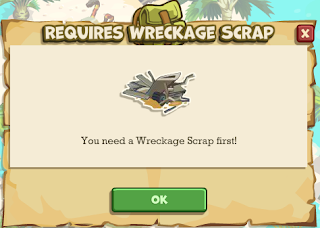 Then gather Wreckage Scrap (3) and you are ready to repair the Radio Tower. 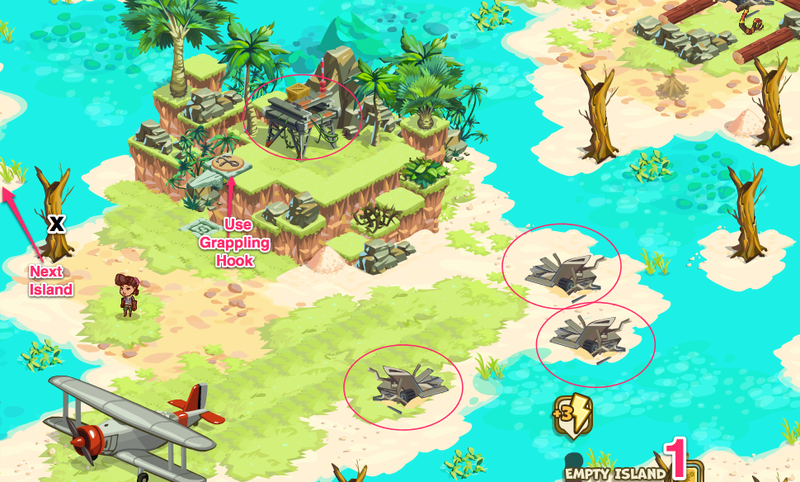 Use a grappling hook, to save energy. For lighting the camp fire you need to (1) collect 3 wood logs, (2) build the camp fire and at last (3) use the torch to fire it. 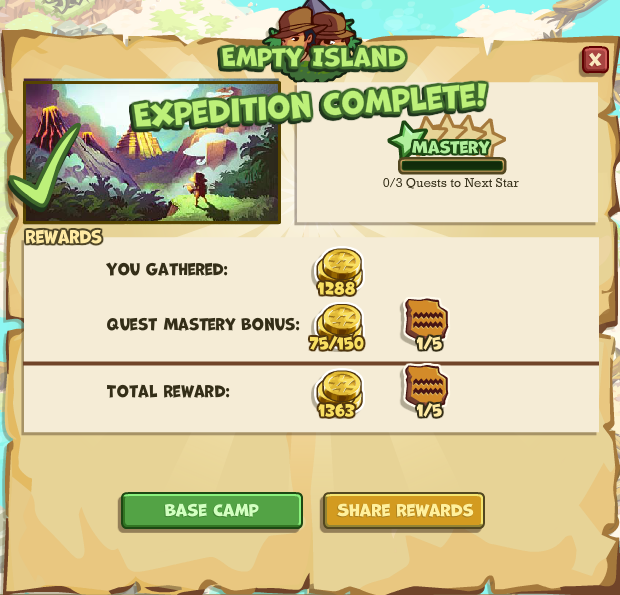 (For me it takes 6 energy each, if I didn't miss it - whatever it is a lot of energy for each). 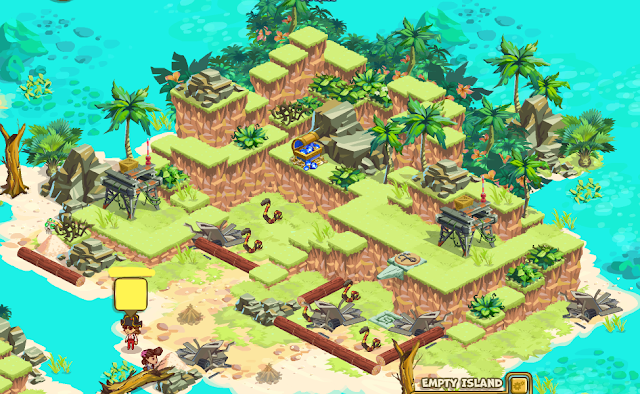 I use a snake poison in the island #4 and lured the other snakes to this island. 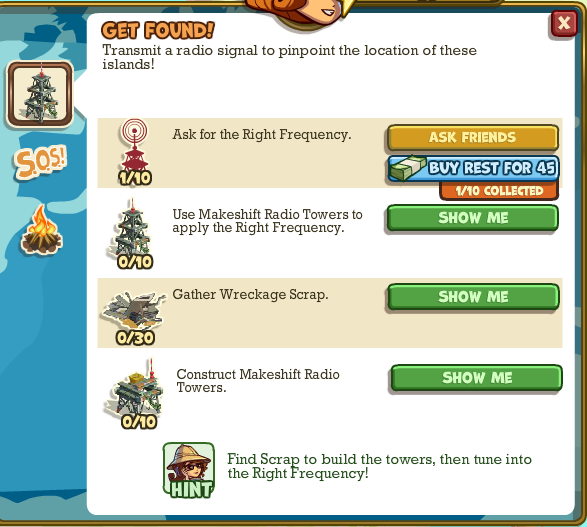 This one is very clear what to do: collect scrap, kill snake, hack the sand pile, vines and bush to get to the radio tower. Light the camp fire. 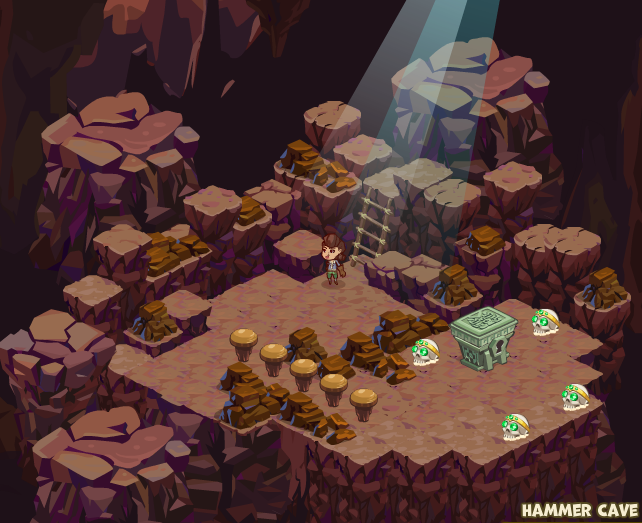 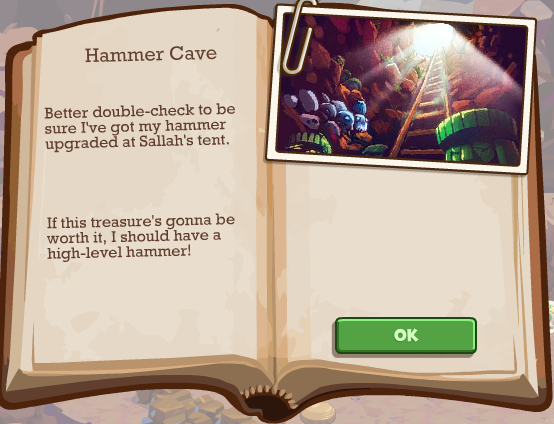 I didn't collect anything in the cave. 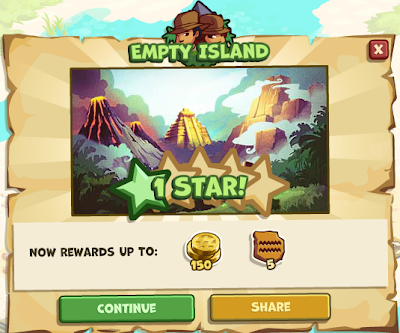 Not worthy for energy (you need at least 6 energy for the pegs, and probably you will be rewarded less with the treasure chest). 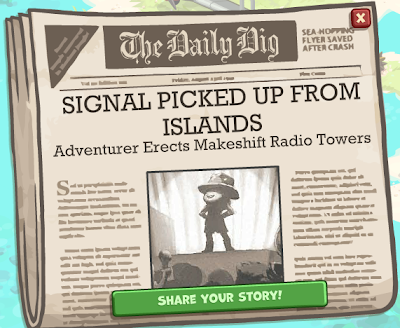 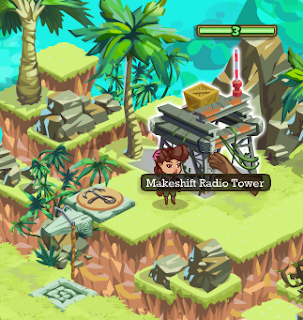 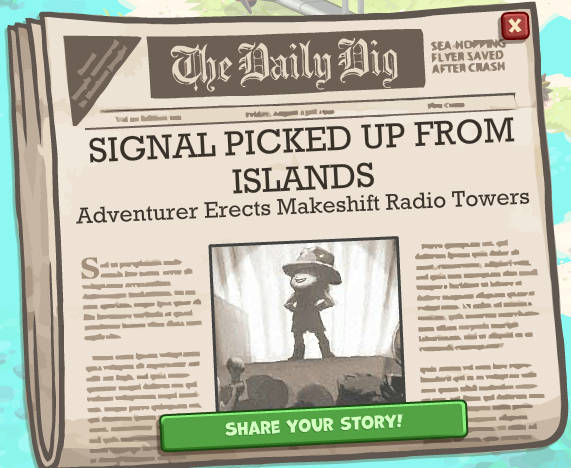 I decided here to collect the wood logs, using a grappling hook to reach to the radio tower. 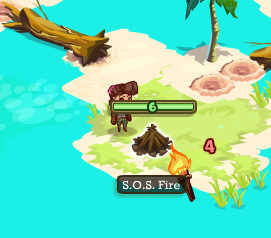 I also used a snake poison and a crew helper. 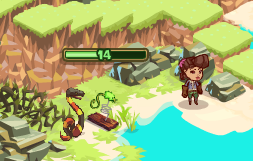 More 2 snakes to kill - Do you still have an extra snake poison? 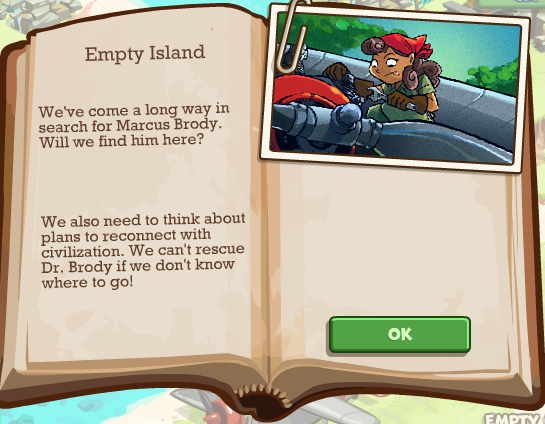 Use one more grappling hook. 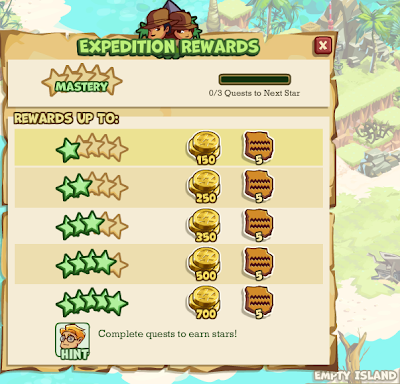 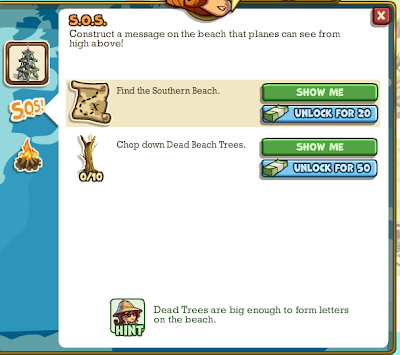 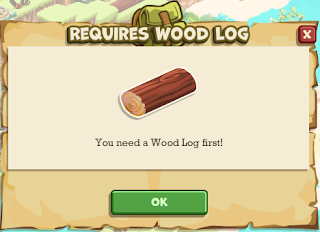 Cut some more wood logs for completing your quest (check how many do you still need - in total you need to collect 30).